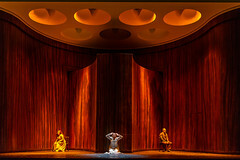 German designer Christian Schmidt made his Royal Opera debut in 2014 as set designer for Die Frau ohne Schatten, directed by Claus Guth. He returns in the 2018/19 Season as designer for La forza del destino, directed by Christof Loy. Schmidt was born in Coburg in 1966 and studied set and costume designs at the Akademie der Bildenden Künste in Vienna. He has worked regularly with the director Claus Guth since 1992; their collaborations include Der fliegende Holländer (Bayreuth Festival, 2003), Der Ring des Nibelungen (Hamburg State Opera, 2007–9), Mozart’s Da Ponte operas (Salzburg Festival, 2006–9) and Fidelio (Salzburg Festival, 2015). 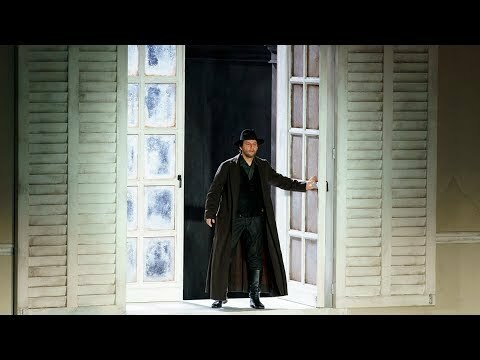 He has also worked with directors Shirin Neshat (Aida, Salzburg Festival), Christof Loy (including La forza del destino for Dutch National Opera and Tosca for Finnish National Opera), Hans Neuenfels (including Der König Kandaules for Vienna Volksoper and Die Entführung aus dem Serail for Stuttgart Opera) and Andreas Homoki. Schmidt was named Set Designer of the Year (2003) and Costume Designer of the Year (2005 and 2012) by Opernwelt. He won the Rolf Mares Prize of the City of Hamburg for his designs for Simon Boccanegra (2006) and was nominated as Designer of the Year at the 2017 International Opera Awards. How changing attitudes to Freud have shaped the set designs of The Royal Opera's production.